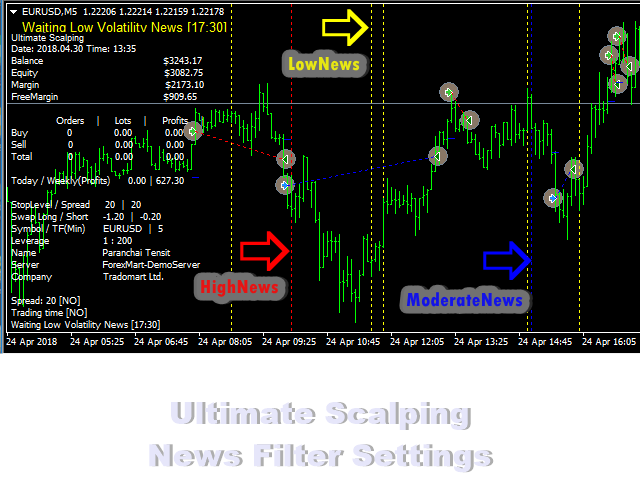 Ultimate Scalping is a fully automated Expert Advisor. The mechanism of this system uses the analysis of market volatility to find trading signals. The EA works well in low volatility markets. Set the appropriate time by default. 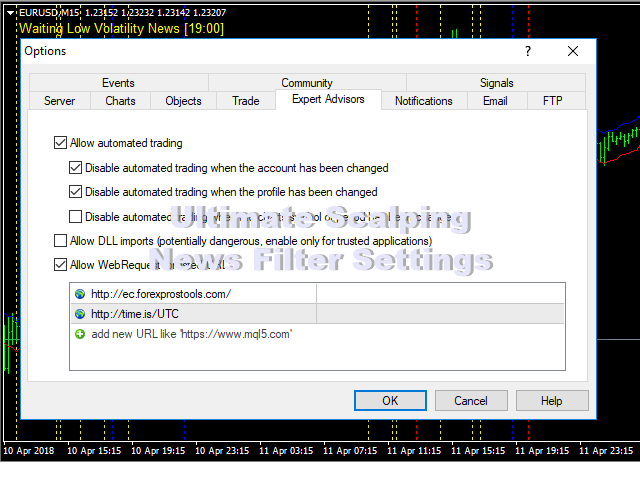 The EA has many strategies and additional filters for trading signals. The EA does not require optimization and any additional configuration. Dynamic stop loss and take profit in the system automatically. This EA has passed 15 years back test (2004-2018) and last 10 months from 2018. Lot_MM - set as " Auto or Fixed "
Risk_MM - set as " Auto or Input% "
BrokerGMTOffset - Your Broker GMT Offset, When back-testing your EA, set "BrokerGMTOffset" to zero. When you run your EA live, make sure the GMT Offset parameter is correct for your broker's time. Very Bad EA , do not buy this EA ,This Ea was not tested and adjusted at online before sales , a lot of bugs still inside. not good working. Other software also have l lot of bugs and not good working , do not buy his softwares.. This EA backtest is not right as this EA has a lot of bugs..
- Added a new parameter: SL_MM - set "SL_Input/SL_Dynamic"